Here's a photo that was posted to the Winnipeg Free Press web site this weekend. 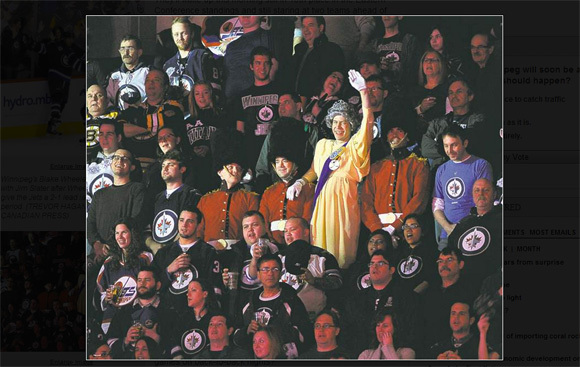 "Queen Elizabeth II makes an unexpected appearance at Friday night's Jets game. The winsome beauty graced the MTS Centre crowd with a wave of her elegantly gloved hand during the singing of the Canadian anthem. (FRED GREENSLADE / REUTERS)"